Do you feel like all you ever say is “no” or “stop that”? Is your parental negativity bringing you (and everyone else) down? 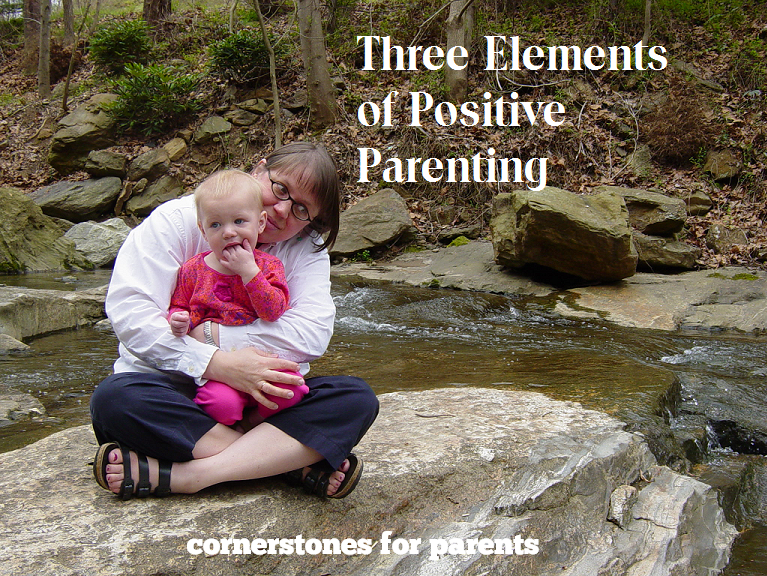 If so, it’s time to get positive – positive parenting, that is. For some reason, negative behavior jumps out at us – much more so than good behavior. Our kids could be playing nicely together for an hour, hardly noticed. But as soon as the shouting starts, our ears perk right up. When we see (or hear) negative behavior our instant goal is to eliminate it – so we call attention to it, address it and move on. The result: a negatively charged family environment. And negative behavior that keeps coming back, just like that whack-a-mole game at the fair. If you are ready for a change, positive parenting is your answer. The added statement at the end, tells the child what specific character trait they are demonstrating. We identify it, so they know what it looks like in action. You may think, “Easy for you to say, you haven’t seen how naughty my kids are – 24/7.” If you are in “negative mode” you may have blinders on to see the positive that is already there. It is there, you just have to look for it and call attention to it. Even if it is something as rudimentary as: “You got dressed and came downstairs.” Positive feedback will spur them on to do more to get more. “You can have dessert again when you have had good table manners for 4 days in a row. In contrast, punishments tend to focus on making kids “pay” in some fashion. A punishment would be: “I am taking your iPod for two days for being hurtful to your brother.” It is the same consequence on the surface, but in the end, the child has not learned anything. The child simply has to buy his or her time until the “debt” has been paid. See the difference? Positive parenting isn’t a “soft,” get-away-with-everything approach to parenting. It is based on respect, boundaries, encouragement and multiple opportunities to train and to teach. What kinds of things to you do in your home to make your parenting more positive?